In this fastest growing virtual world, more and more people are getting dependent on Internet and emails for almost every type of work. Be it an invitation, information, or applying for a job, just everything over the Internet. And now, when the very unique Microsoft’s Windows 8 has entered this world the buzz has grown up even more. The good part about Windows 8 is that you need to login to Windows Live account in order to access its features. But, one thing I did not like is that every time I open the Mail App in order to check a new email. For this, of course I minimize other opened apps or switch between them. But no automatic notification or alert it provides for a new email. Hence, I looked upon the Mail App and went through if there is any way to activation alerts for emails. Guess What…I found! Here is a step-by-step tutorial for How To activate Email Alerts In Windows 8 mail app that lets you activate email alerts of your mails in your Windows 8 Mail App. 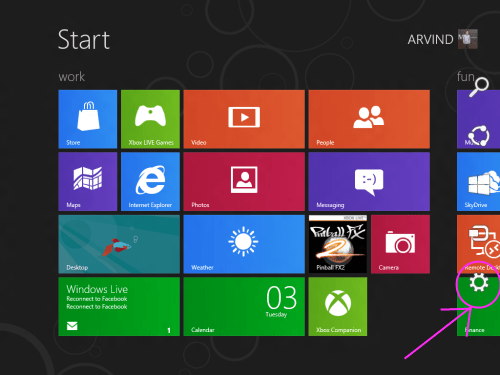 Open Windows 8 home screen and move cursor to the top right-corner. 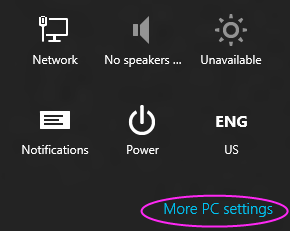 At the bottom, you will get to see an option named as “More PC settings”. 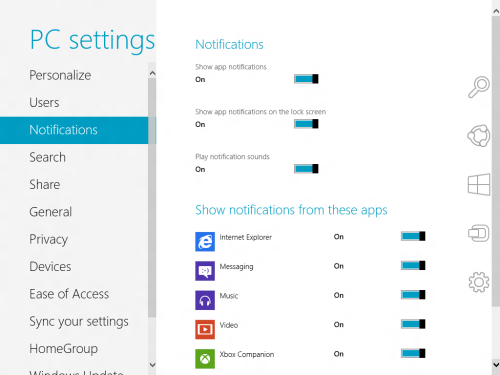 After exploring the option, click on the third option named as “Notifications”. Explore the option and now move the slider to On or off. Then, personalize the notification according to your preference. Also, check out our post on Best Software For Windows 8 Till Date. As simple as that. Isn’t that? Go ahead and try out yourself..! there should have an Alert in the Desktop when the user receive one e-mail.